Note: Before you contact us, make sure you've actually read our frequently asked questions page as this may answer your question very quickly without effort of writing. Frequent question #1: What if I don't have a credit card to order? Without a credit card, you can sign up with www.paypal.com to make an account that connects securely with your bank account. This works for almost all countries in the world. It is 100% secure. Then you can purchase the system through the Paypal option. You may also order via money order or personal check. Frequent question #2: I just ordered, how come I didn't need to put in my mailing address? Note that the system is delivered through 100% online access. If you ordered, a unique username and password should have been emailed to you with a receipt. We do this now to ensure you get unlimited lifetime updates (free for customers) for future cure updates and invaluable digestive health tips. Remember, you will be discreetly charged one-time by "CLKBANK" on your bill statement. All 100% confidential - your privacy is #1. 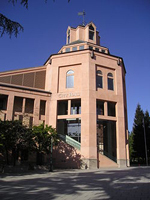 Our office is located in Mountain View, CA USA. Due to our team's frequent consulting engagements, it's easiest to reach us via the contact form above.